This is a cypress knee from Florida—a special form of this tree as it bends down to earth to create another sapling. 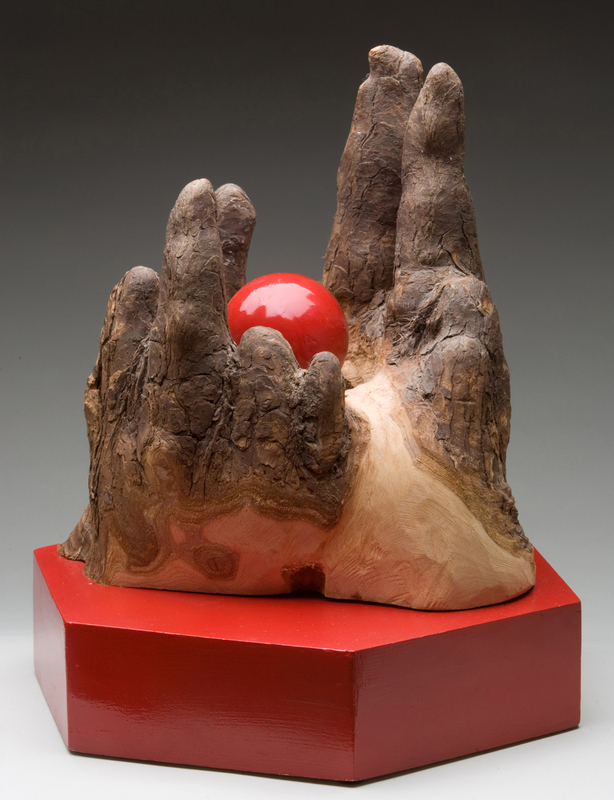 A sphere made of solid popular with red base is cradled within the hand. The grey areas are where the bark has been carved away to expose the enter beauty.